I have certain good recipes up my sleeves, but I haven't really tried grilling cos we don't have space at home for a big griller. We often just cook on the stove. But fortunately, I discovered the Oster Mini Raclette Grill last week and it has been amazing!
" Oster is a trusted American brand of home and kitchen appliances. We are popular for our high-performance, versatile and durable blenders such as the 10-Speed Osterizer blender. We also have a line of non-blender products such as rice cookers, grills, irons, mixers, coffeemakers etc. " The Mini Raclette Grill is used via electricity - you plug it in a wait for a few minutes for the plate to heat up before use. It includes 4 Non-Stick Mini Pans that you can use to melt cheese or make sunny side up eggs and a Non-Stick Grill Plate that you can remove for easy clean up, so no worrying about scrubbing till the break of dawn! :) The best thing about this kitchen appliance is the cool touch side handles. You can easily transfer it anywhere without burning your hands or having to use kitchen gloves for it. Overall, I'm ecstatic to have this. It's easy to use, it's portable, it's small and doesn't consume too much space and it makes really good food! :) I can imagine throwing the perfect house party with this too - grilling some burgers, quesadilla, grilled cheese sandwich, fajitas and so much more! 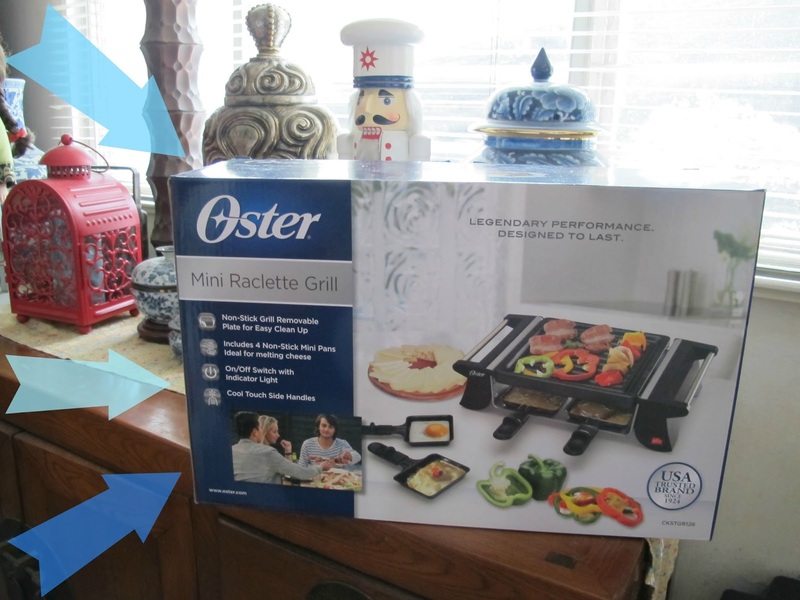 Also, I'm giving away an Oster Mini Raclette Grill to one (1) lucky winner! :) Just head on to my instagram: https://www.instagram.com/p/BHHGuM3D-Zz/ and follow the easy mechanics!